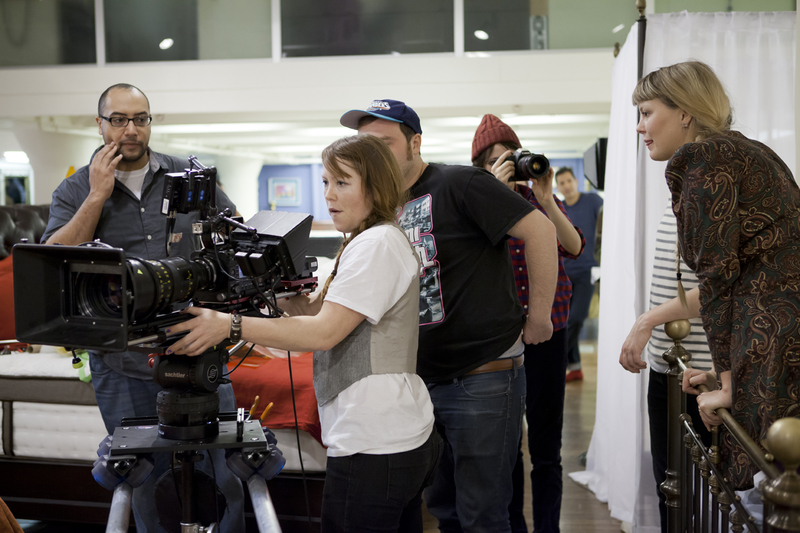 Special Post: Filming One Day Home in our store! Post by guest contributor Rebecca Louise Miller. Every project starts with an image. In the case of One Day Home, which was actually based on a personal experience, I had a very clear concept of our location- the mattress floor of a vast department store. In my head, the setting was supposed to be a serene, almost sterile container for a very messy human interaction: two people falling in lust. But the night I walked into Charles P. Rogers for the first time, that vision shifted drastically. The serenity is there, for sure; the space is elegant and carefully considered, but there’s also an immediate sense of warmth, almost an embrace. It starts before you even get inside- the store pulls you in off 17th Street with an inviting glow, and once inside, you find yourself wanting to linger. When I walked among all those lovingly built beds and mattresses, it struck me that this store could be more than just a setting to our film; it could actually be a character. Rather than the blank canvas I’d imagined, this beautiful space would actually put our protagonists at ease- it has that incredibly rare brand of prewar New York elegance that manages to feel totally accessible. You feel like you’re visiting the loft of a good friend with impeccable taste. Best of all: instead of plain white mattresses floating in space, the selling floor is full of beds of different styles. Think about the emotional impact of a tufted linen headboard versus an iron sleigh bed- visually, they suggest two completely different lifestyles. Our characters would be trying out more than just beds in this store: they’d be testing out new lives for a few minutes at a time. Obviously, I was excited about Charles P. Rogers as a potential location. When I reached Linda Allen, the owner, by phone and explained the premise of the film- fresh on the heels of the breakup of her marriage, a woman searches for the first mattress of her new life and finds much more than she’s shopping for- her reaction was swift. Linda was immediately excited to help us tell this story, which she has seen unfold on her selling floor over and over again. The store sees a lot of customers reeling from major breakups- just a reality of this particular business. When couples split, chances are that one or both will need a new bed- understandably, it can be a very fraught purchase. Not only is it a significant investment, but it marks a real emotional turning point. It’s a duty that the entire Charles P. Rogers team takes very seriously: helping people start fresh at the moments they need it most. By giving customers an experience that’s calm, respectful and un-pressured, sales professionals here turn a potentially traumatic event into an empowering, hopeful one. On a very literal level, they are helping people find comfort in their time of need. It’s no small thing, and their passion for guiding people to their perfect match is palpable. More than anything (even more than the beautiful space), that passion is what made Charles P. Rogers the perfect partners for One Day Home. When our three night shoot rolled around, our director, cinematographer and design team were totally enamored with the Manhattan showroom. Every time a new member of the cast and crew came in, they commented on the evocative look of the space. But the clincher, of course, was the beds themselves. The mattresses, lovingly crafted by hand in NJ, are incredibly comfortable. Many of us made it a mission to try them all, an activity that after 4am became a sort of narcoleptic roulette. Part of me worried that Linda and her team would come in on Sunday morning to find our entire team sprawled across the store, fast asleep on our chosen favorites, like bewitched villagers in a fairy tale. Since that shoot I’ve joked that every screenplay I write will now be set at Charles P. Rogers. It might be somewhat limiting in terms of plot, but the deliciousness of the location would be worth it. I can say for sure that I’ll never shop for a bed or mattress anywhere else. There’s a PowerCore out there with my name on it. You can learn more about One Day Home at www.OneDayHomeFilm.com, or visit us on Facebook. 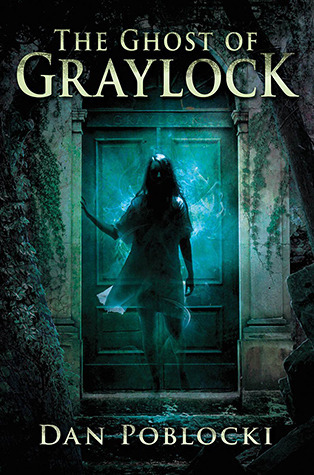 The Ghost of Graylock by Dan Poblocki. I know spring is not the time of year people think of creepy, haunted sanitariums. But sometimes, on a stormy spring evening, when the wind is throwing the rain and cherry blossoms everywhere, curling up under a light blanket and a spooky book is just the thing. I have had this ghost story sitting around for a while but finally picked it up. Neil and Bree are siblings in the midst of personal turmoil. Their dad has left for the west coast and their mom is struggling with a nervous breakdown. In order to give her space to recover, the kids are sent to their aunts’ house in a small town in upstate New York. Quickly, they discover that one of their neighbors in the vast and ghastly Graylock Hall, an abandoned sanitarium, supposedly home to the ghost of the wicked Nurse Janet, believed to have drowned more than one patient from the hospital. Naturally, they want to explore; what they don’t plan for is that something would follow them back. Tormented with visions and feelings, the children begin trying to unravel the mystery of who is haunting them, and why. Is it the malevolent spirit of Nurse Janet, seeking new victims? Or is it one of her victims, seeking justice? Dan Poblocki continues to deliver spine-tingling fun for young teens and grown-up kids at heart alike. Fun book to pull out on a rainy night or a spooky campfire read. Often characterized by mixing bold, busy patterns, lantern light fixtures, and ornamental surface details, Moroccan rooms aren’t as common as some other design styles. Still, when done well, Moroccan-themed spaces can be lovely, happy rooms, and even feel restful enough to capture a good sleep. Take a peek at these five Moroccan-inspired bedrooms, each of which pushes the creative envelope in one sense or another. You probably wouldn’t ever think that an all-white bedroom could be Moroccan in style, but the above photo proves otherwise. Stylish and sophisticated, this neutral space boasts a Mediterranean feel. The designer used pattern to create a modern, Moroccan escape that combines a sleeping area and sitting room. A Moroccan-style wall covering sets the tone for this unique bedroom. Bold and busy, the bed wall becomes the focal point of this compact, cozy space and influences the rest of the design, which leans toward contemporary. Going Moroccan in a nursery? Yes, indeed, and it works. From the baskets to the hot pink poufs to the unmatched pendants and artwork, this cheery room sports all the right touches for a newborn and parents to feel happy and relaxed. This room can easily transition into a child’s room or even an adult’s bedroom with just a few minor adjustments. 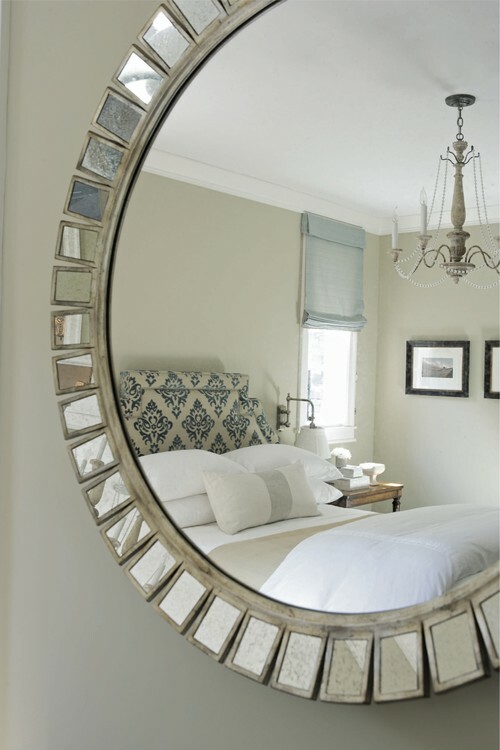 Mediterranean Bedroom by Houston Interior Designers & Decorators Laura U, Inc. 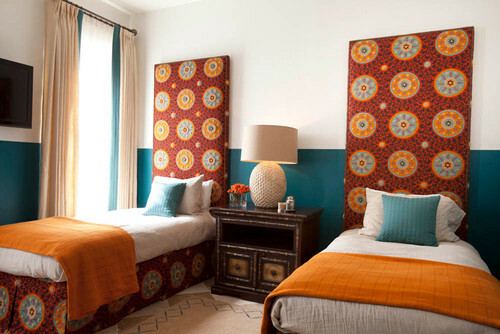 Tall headboards and simple bed skirts in a Moroccan-themed fabric, a tile floor, and the teal and marigold combine nicely to create a bright, twin bedroom. Notice how the teal paint on the lower half of the walls is the same shade that’s on the leading edge of the drapery. The color scheme ties all of the elements together. Bright blue with gold, plenty of pattern, and the right amount of red give this space drama. 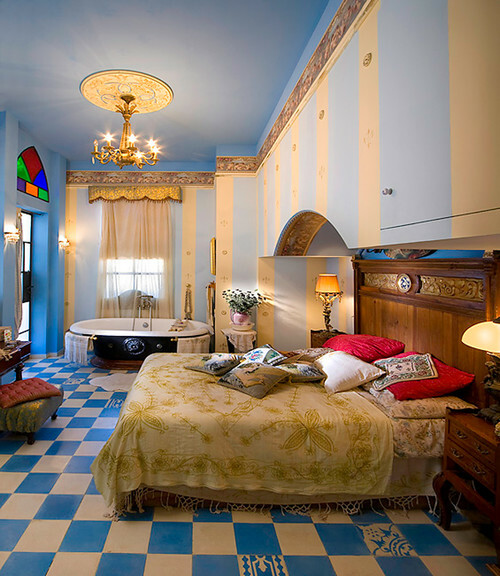 A tub in the bedroom isn’t traditional, but lends a true Moroccan feel to this color-filled suite. My sister and I share a favorite childhood memory – we are at quaint Lake Edenwald where our grandparents have a funky but beloved log cabin. All of our cousins are there. We splash in the shallow area of the lake, until one by one, our Grandpa methodically teaches each of us to swim, in order of age. The challenge? To make it to the old splintery raft through the deepest, darkest water to the far side of the lake. Our boy cousins roughhouse, chasing and splashing, until we are spent. We paddle to shore, finally squish our toes down into the spongy lake bottom, then run to our mother. She’s laughing and smiling, waiting for us. She hands us each a tiny, personal-sized and precious box of Nabisco Ginger Snaps. We collapse on our towels and blissfully gorge on the well-earned treats. 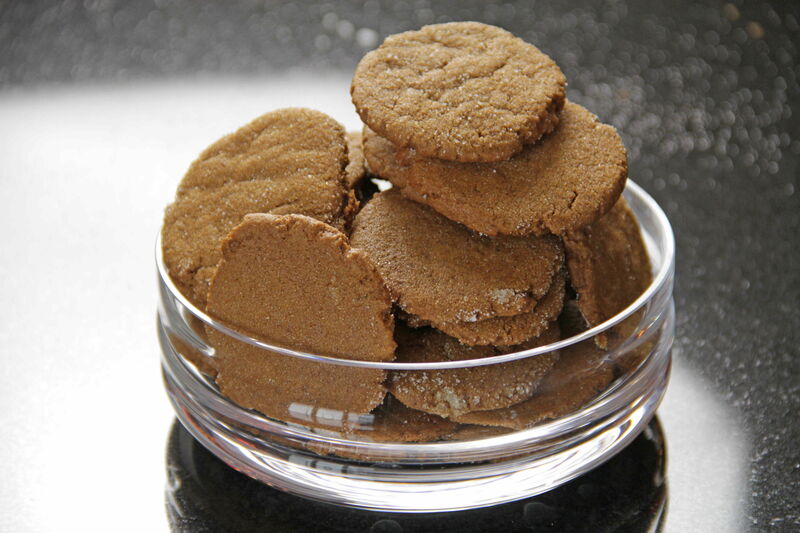 I’m not sure if Nabisco still makes those tiny boxes of cookies, but every year when the weather starts to warm, I get a hankering for a handful of chewy coin-sized snaps. These are a little larger and a little spicier than the originals. I like to use fresh-squeezed ginger juice for extra tang. If you don’t have a juicer, simply peel and grate a hunk of fresh ginger. Then squeeze the pieces over a clean bowl until the juice flows. Strain and use to create these lovely little snaps and a personal-sized, precious breakfast in bed. In a large bowl, cream together butter and sugar until light and fluffy. Add molasses and ginger juice and blend until creamy. 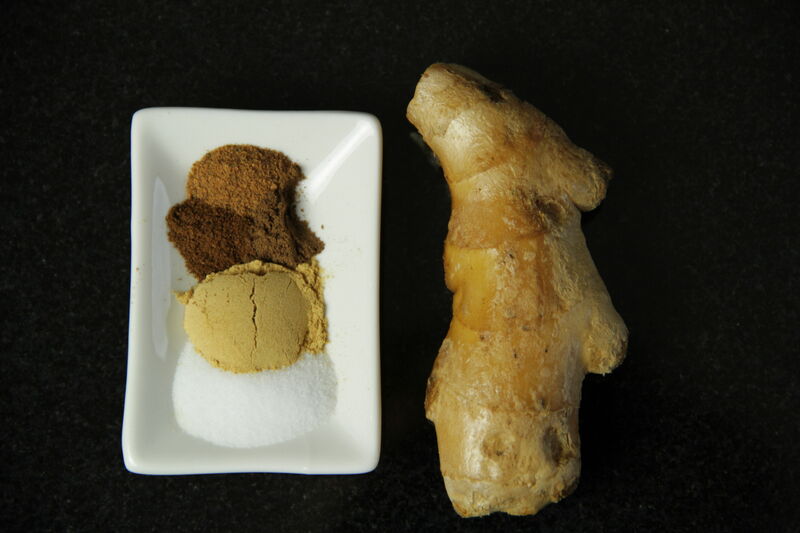 In a second bowl, mix together flour, salt, baking soda, ginger, cloves, allspice and nutmeg. 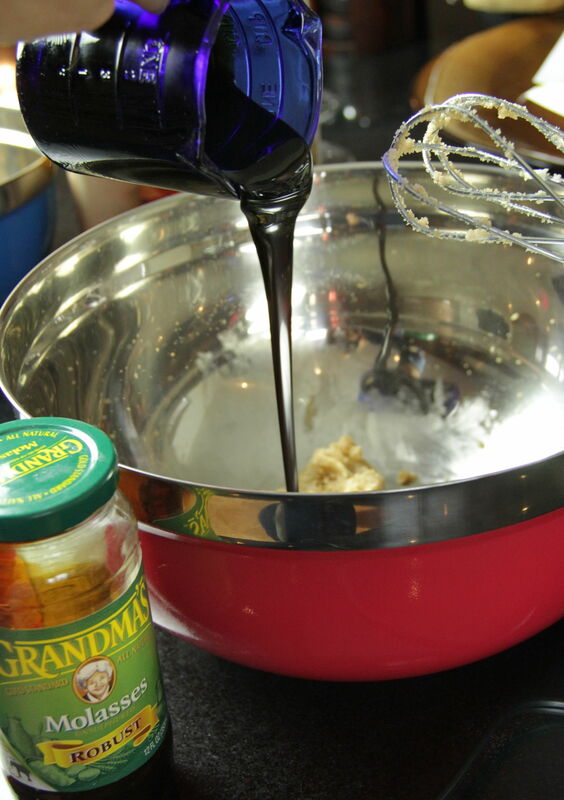 Add gradually into butter mixture, until thick dough forms. Shape the dough into a ball and cover with plastic wrap. Chill at least 1 hour and up to overnight. When ready to bake, preheat oven to 350° and grease two baking sheets or line with parchment paper. 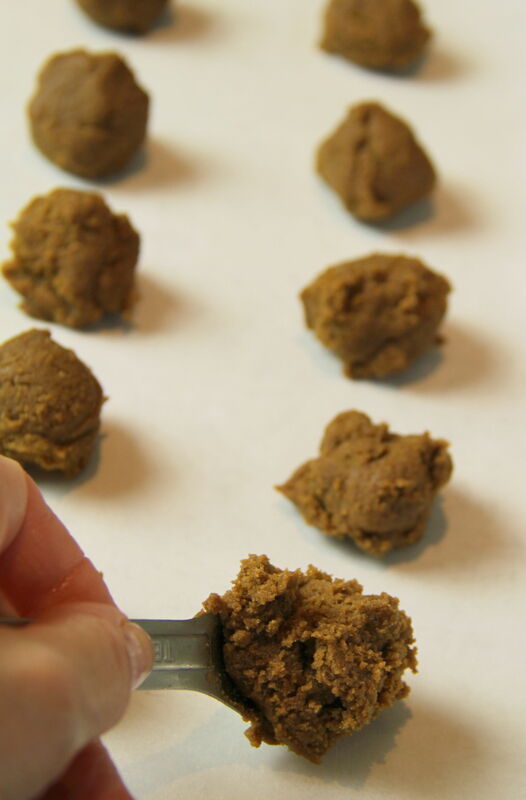 Form rounded teaspoonfuls of dough into balls. Arrange the balls on the prepared sheet. Pour some granulated sugar into a small dish. Wrap the bottom of a small glass with plastic wrap. Press the bottom of the glass into the sugar, then press and turn the glass onto each ball of dough, flattening before baking. 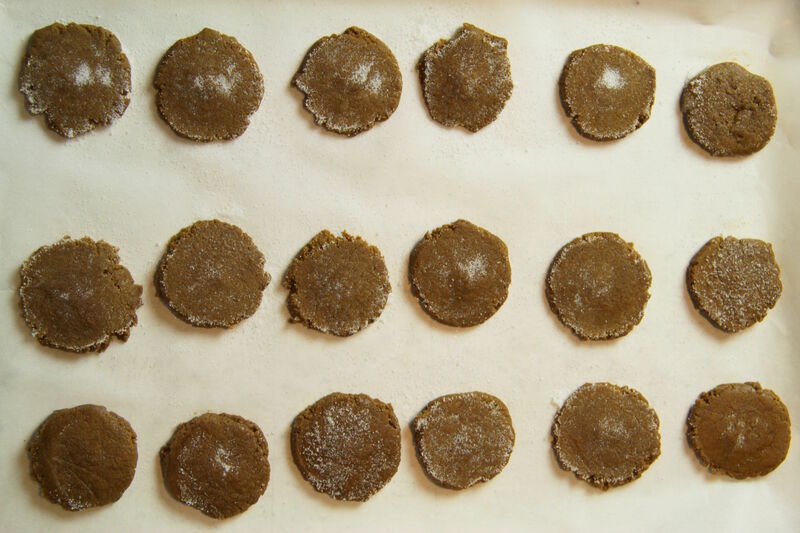 Bake the cookies until they have set but still seem soft in the middle, about 8 to 10 minutes. Cool on sheets for a couple of minutes before transferring to wire racks. With warmer weather approaching, sun and sand time is right around the corner. When I dream of beach houses and coastal getaways, I can’t help but think of Nantucket, the charming seaport town off the coast of Cape Cod. Nantucket has its own style and personality: nautical themes, muted blues, crisp whites, and natural materials are a few elements that characterize the island’s shingle-style houses. In a coastal mood now? 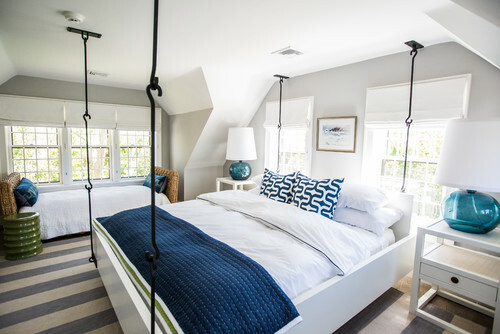 Take a peek at these five pretty bedrooms that will leave you fantasizing about a summer in Nantucket. 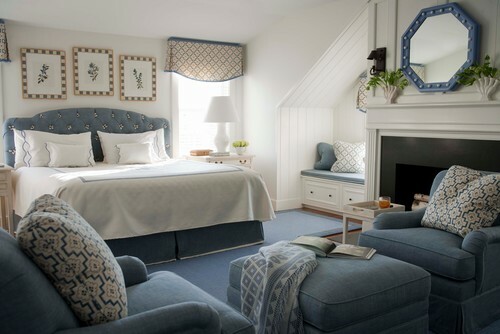 On the traditional side, this impeccably decorated blue and white bedroom sports a New England feel. No detail has been left out –– from the perfectly fluffed pillows to the throw on the ottoman and touch of greenery on the mantle, the room would be a pleasure to relax in for an afternoon or sleep in during an extended stay. 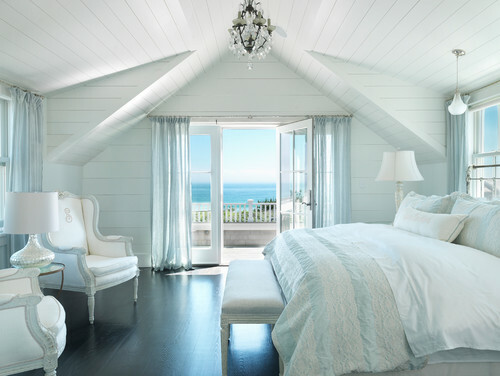 This spacious bedroom boasts a monochromatic scheme with a view of the sea. The space is relaxing and soothing. Who needs anything more? I love the elegance in this bedroom. Notice the crisp Roman shade, Fortuny-esque pattern on the headboard, and the simple chandelier. Although the beach doesn’t immediately come to mind when I look at this room, I can easily imagine the space in an 18th century Nantucket cottage. This modern Nantucket renovation still features classical elements. Notice the extra bed along the side of the room, which is pretty typical in beach houses. 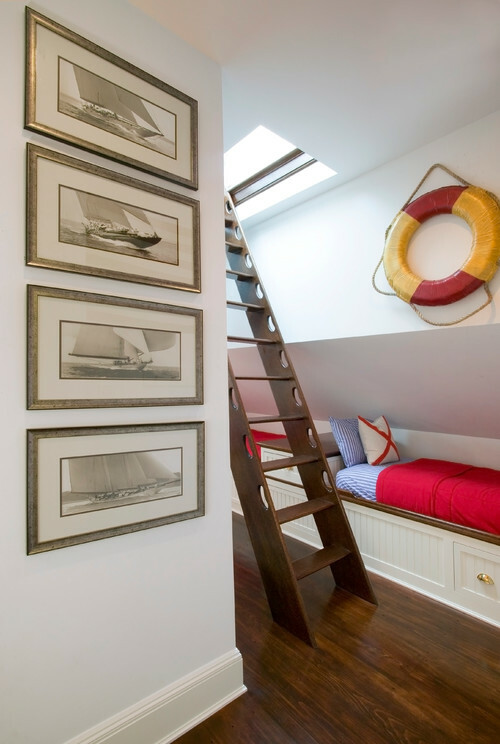 What an adorable attic bedroom with a nautical theme. The ladder goes to a boat hatch and leads to a widow’s walk roof deck. The clever, uncluttered room sleeps multiple people and appears to get plenty of natural light.